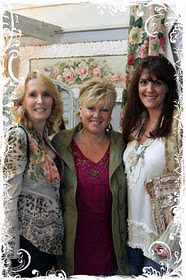 What a wonderful weekend the Sweet Gang shared with all of you at the Romancing the Home Event. It was so much fun. Thank you for coming. A special thank you also to the fabulous Christie Repasy. Her gorgeous smile filled Sweet Salvage as she greeted all who came to meet her and view her beautiful paintings. It was the Sweetest experience. Stop by and visit these fantastic ladies. 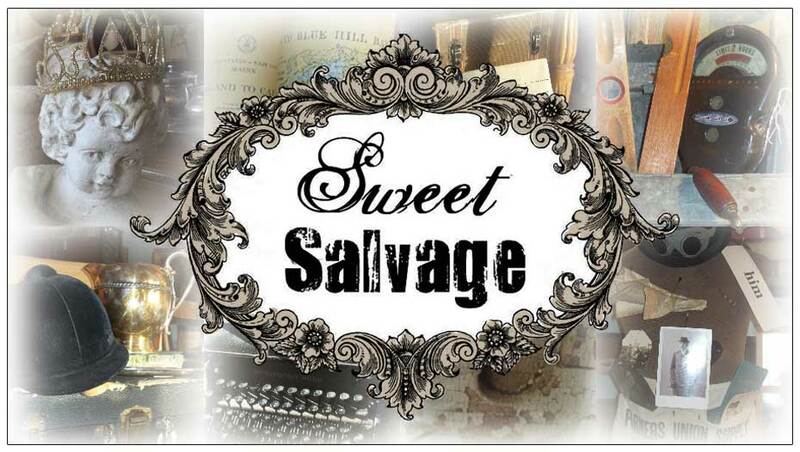 Sweet Salvage's next event Raw and Re-Find will be February 16th thru the 19th. Mark your calenders. The Sweet Gang is already shopping and designing. Once again Sweet will be filled with one of a kind amazing treasures. Pictures coming soon. 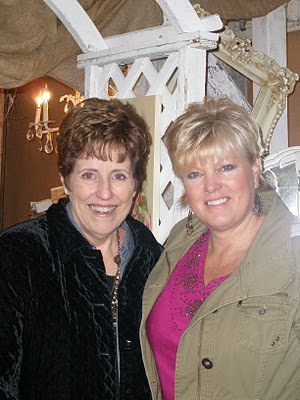 Tomorrow is opening day for the Romancing the Home Event at Sweet Salvage. Doors open at 10 am and will be will open until 9pm as part of the Melrose Crawl. 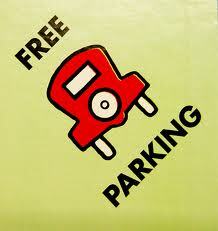 Friday through Sunday the hours are 10am-6pm. 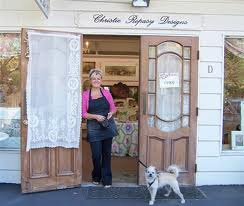 Christie Repasy will be at Sweet Salvage both Thursday and Saturday. With all the excitement this event I thought I would share some Sweet Shopping tips. 1. Doors open at 10 am however the line to enter does begin about 9am. Grab a hot cup of Joe and arrive a little early. Our Sweet guests enjoy talking about the past events and it is a great way to meet some wonderful people. VIP entry is at 9:45am. 2. All shoppers receive a numbered clothes pin as they find their treasures, hold on to the pin. A Sweet member dressed in a black apron will free your hands taking your goodies to a storage area marked with your number. When you are ready to checkout simply get into the line, give your number to the cashier and your items will be brought to you. Baskets are also available by the entry to help you with your shopping. 3. Parking is limited. 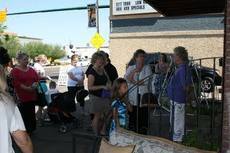 Please fill free to park on the side streets, across 7th ave or make a fun day of it by taking the Light Rail which has a stop a half block away. Sweet has a pick up zone for all your finds and the Sweet Gang will help you load. 4. Make time in your busy schedule to really enjoy the Romancing the Home Event. There is a lot to see and inspiration will fill your eyes. Above all have a wonderful time. I would now like to show you the most incredible treasure that made it's appearance yesterday at Sweet. Not very often do you come across a vintage Louis Vuitton trunk. For those of you who collect LV this is a special treat. Authentic, certified, numbered and beautiful the quality does not get better then this. The trunk is located in Sweet Robert's vignette just past the back door. Go take a look you may not see this style again. See you all tomorrow. It is going to be Fantastic. A darling vintage Boston Terrier waits patiently for his new home. This vintage bike seat would make a fabulous stool. I have a special announcement today. Our Sweet guest artist Christie Repasy has decided to have fun with us on Thursday and Saturday. She will be showcasing her beautiful paintings and available to meet all of our Sweet friends now on both days. Yay! I am so looking forward to see all of you. The Romancing the Home dates are January 19-22. Sweet Salvage will open at 10am. For all of you wanting to win VIP passes for Thursday remember to upload your photos. The five lucky winners will be drawn Wednesday evening and posted on Face book. Good luck. Love is in the air and my heart is pounding. The Sweet Gang has gone over the top for the Romancing the Home Event this coming weekend. 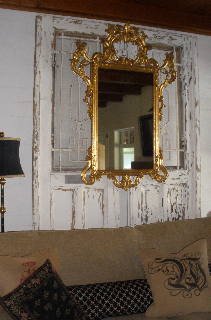 From industrial to romantic from traditional to funky Sweet Salvage is packed with it all. 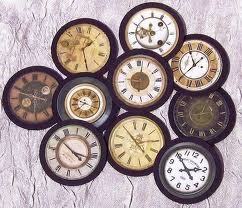 Isn't the clock fab with the splashes of red? I so love this wooden tote. I wonder what trade C.W. Meeker did. An old diploma, books and charming architectural corbel just add the perfect flair. This to die for aqua metal desk would make the most amazing bathroom counter with a vintage porcelain sink. It has to be one of my favorite pieces this event. Love it. Then add the french soaking tub and WOW! Check out this vintage industrial light..this most certainly is the conversation piece you have been looking for. Imagine it hanging in a kitchen above an island. Stunning. I am adoring all the hints of turquoise through out Sweet Salvage this month. It is refreshing and makes me long for spring. The Sweet Gang has incorporated garden elements to help that vision along. Can't wait to see you all this weekend for the Romancing the Home Event. Remember you still have two days to enter into the Romancing The Home Contest to win VIP passes for Thursday morning. Nancy and Mike's are the owners of Steampunk Az. They are continuously on the road finding the most unusual treasures from across the United States and are known for their extensive collection of wrought iron and architectural elements. Their home represents what incredibly fun and happy people they are. I just love it. How fun is this vignette? A vintage chalk ware Shepard sits on a Lucky Lager bowl. Just when your giggle subsides you see this incredible antique crystal cloche, wow! The mix is a sheer joy. Do you see the marvelous aged crackle on this precious little doll head? This is a rare jewel tucked under a blown glass cloche. This scale caught my eye with a big "Hello". What a fantastic piece of history. My mind wanders to the ole' General Store that weighed it's wares on this classic. Then there's the bottles, oh my! My eyes are not done, a beautiful table top chandelier adds an unexpected sparkle to this vignette. This my friends in one of those pieces you rarely see and when you do you just smile. A tour of Mike and Nancy's home would not be complete if I did not show you an amazing chippy green cupboard, a graphic sign, an exquisite etched mirror, an old olive jar and of course a concrete angel. 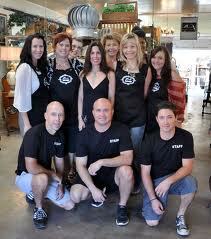 Thank you Steampunk Az for sharing your fabulous home with us. We are quickly approaching the Romancing the Home Event this Thursday thru Sunday. I am so excited. Sneak peeks are on their way. Remember you still have 3 days to post photos of your home for the Romancing the Home Contest. Good luck. Walking into Stephanie's home you immediately know you have entered a special place. She has created a home filled with beautiful vignettes. Her passion for industrial shines but is softened with a vintage feminine touch. Old muted patina books are bejeweled with a metal bead chain drawing interest to the graphics and adding a little sparkle. This is by far my most favorite. Located in her kitchen Stephanie has brilliantly used an old industrial display shelf to showcase her amazing white ware collection. Stunning and yet extremely practical. Photos of her darling family are another element she proudly displays throughout her home. What a cute idea to have them peering out from an apothecary jar. I had to leave you with this closeup of her white ware collection. Simple beauty sometimes makes the best statement. Hope you enjoyed Stephanie's beautiful home. I sure did. Remember to enter the Romancing the Home contest for your chance to win VIP passes for the January 19th thru 22nd show.